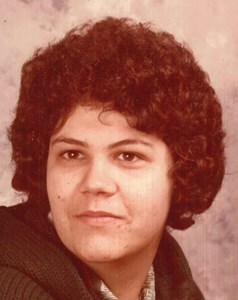 Linda L. Runions, 61, of North Syracuse, passed away on Monday. Linda was predeceased by her father, Winfred Runions. She is survived by her mother, Beverly Runions; siblings, Rosemary (Rick) Cuqto, Allan (Vicki) Runions, Raymond (Lori) Runions; a niece and three nephews. Calling hours will be Wednesday, December 5th 5-7pm at New Comer Cremations & Funerals, N. Syracuse. A memorial service will be held on Thursday, December 6th 10am at the funeral home. To share a memory of Linda or leave a special message for the family, please click the Share Memories button above. Add your memories to the guest book of Linda Runions. You will be greatly missed you were such a sweetheart. My deepest sympathy to your family. The Runions family has been an important influence on my life. The values of your family have often kept me feeling loved and supported. Linda and Tuna were a nice and welcome friendship found through my friendship with Ray and Lori. I miss Linda and Tuna. Your family is in my prayers. My love and prayers to you Bev. Sincere condolences to the family. It was an honor to care for Linda. I remember all the times we had together, with you, and me and Aunt Tuna. I remember you guys playing Conasta at grandma’s House, and all the laughs everyone would have. You are sorely missed, and extremely loved. I hope you are at peace Aunt Linda, and in a good place with Aunt Tuna and Papa.